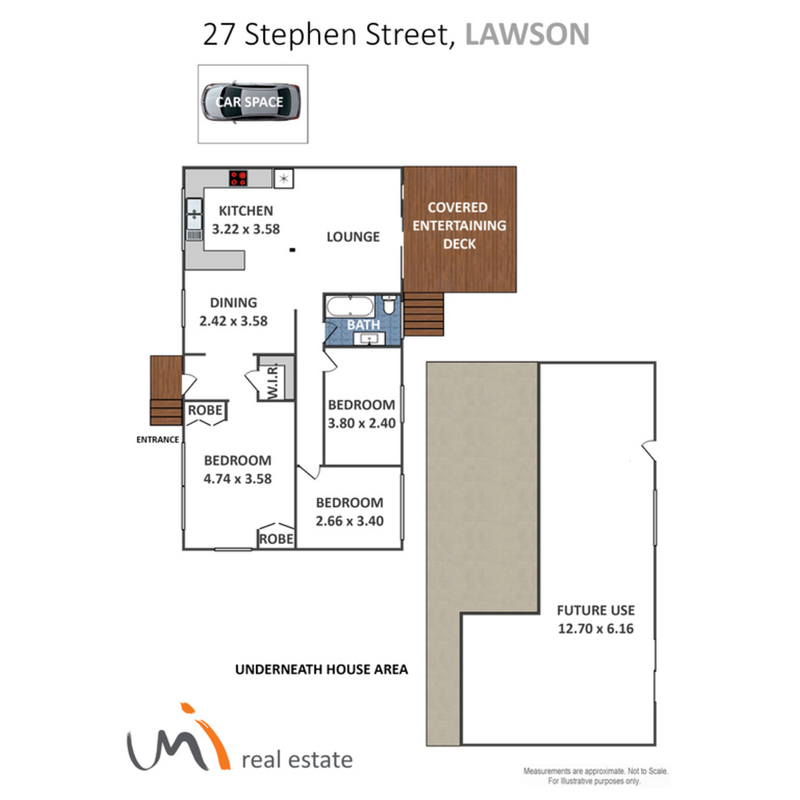 This home is nestled in a peaceful, family friendly pocket of Lawson. Three bedrooms, two with built-ins, a beautifully renovated kitchen and bathroom, and an open plan living area with floating blackbutt timber flooring, are just some of the reasons you’ll fall in love with this property. The elevated back deck provides a relaxing space to unwind and extends your living space in the warmer months. When the temperature drops, the hydronic central heating keeps things cosy inside. Downstairs there’s an outdoor kitchen, perfect for entertaining and the space underneath the house oozes potential. The garden is pretty just as is or offers the opportunity for you to create your own masterpiece. At the end of the street you have access to beautiful bushwalks, taking you to Dantes Glen and beyond.The thriving village of Lawson is just a few moments drive away and both the railway station and Lawson swimming pool, an easy stroll of less than 20 minutes. You have great primary and secondary schools on your doorstep and access to all the best that the Blue Mountains community has to offer.